The hard surface coating, responsive touch, anti-finger print (AFP) surface and enhanced image quality make Power Support's Crystal Film™ is the best screen film protection for your iPhone X/Xs. 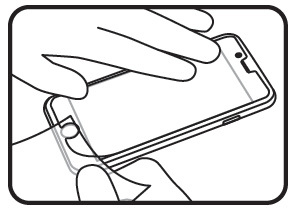 This amazing screen film, designed and made in Japan, is cut to the exact dimensions of your iPhone X/Xs to accommodate the placement of screen sensors and the front facing camera. The hard surface coating perfectly and beautifully covers and protects the screen from scratches, dirt and dust while maintaining excellent surface responsiveness. The clear crystal surface treatment actually enhances the iPhone’s screen image quality resulting in exceptionally vibrant colors. Our unique Anti-Fingerprint technology virtually eliminates fingerprints and smudges from your screen, allowing you to view the beautiful iPhone X/Xs screen as if there was nothing there at all. Just beautiful, vibrant, crystal clear images. Because of this the AFP film is great for anyone who works with their hands because it is also extremely resistant to chemicals and oils commonly found in make-up, cooking ingredients, massage oils, or mechanical equipment. If the film gets dirty simply wipe it clean. 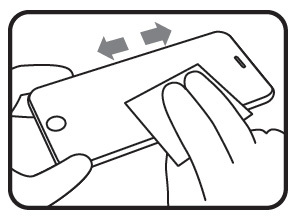 This does not mean it is impossible to get a fingerprint on the screen. It means that the dirt and oils found naturally on your fingers and hands do not adhere to or penetrate the hard coating of the film, preserving the film’s surface and making it easy to clean. Unlike some screen films that require an elaborate and messy application process or a special applicator operated by store personnel, Power Support’s Anti-glare Film™ is easy to apply. 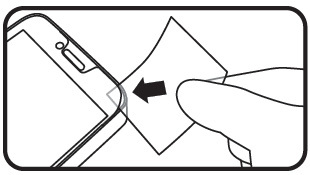 Our Rip In Place (RIP)™ screen protector application technology (see instructions below) makes it easy to apply the film. Our film is not “glued” to the screen, but clings. 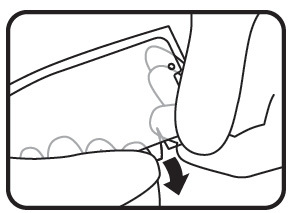 This makes it easy to remove and re-attach the. 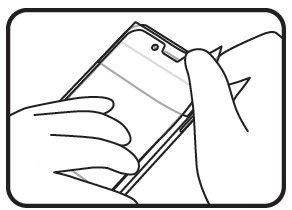 The Crystal Film for iPhone X/Xs clearly protects your screen’s surface while enhancing the image. 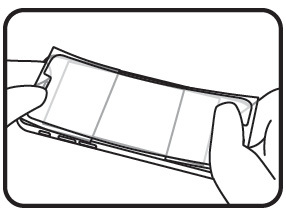 Obviously, as other had written that the screen protector is not accurately cut to fit with the active screen. Unlike every previous iPhone crystal screen protector I have ever had from Power Support, this one is incorrectly cut for the iPhone X. It is just slightly narrower than the actual active screen, if not exactly a match. Very disappointing. I'm extremely disappointed in these. I've always found these screen protectors to be the best available so I was eagerly awaiting the version for the iPhone X. Like another reviewer, I've found that these do not fit correctly (much too narrow so the active display isn't fully covered). The packaging shows 'iPhone New Edition', so these were obviously designed before the iPhone X specifications were accurately known. I will be returning these for refund, if Power Support ever get round to answering my emails (also very disappointing customer service). I have been buying this screen protector since the iPhone 5. I loved EVERY production of this crystal Film protector EXCEPT this one for the iPhone X. Not even close. Unlike ALL of their prior versions, this one if WAY TOO NARROW!!! It does NOT even cover the active display area of the phone. So a fine line of the active display portion of the screen goes beyond the screen protector. 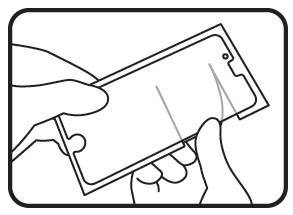 There is also probably a 2 to 3mm gap between the edge of the screen protector and a case. 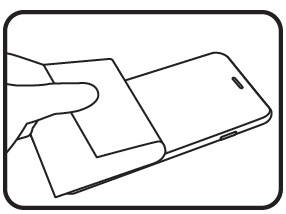 Normally screen protectors are designed to go up to where the screen starts to curve. But obviously they designed this one before the iPhone X was released because their measurements are just way off.